Three Wire Systems is the trusted leader in helping Federal Agencies and some of the world’s largest companies eliminate wasteful spend. Three Wire Systems is a 6+ year partner with 3D ICC. Hao2eu 3DNovations are 3DiCC's award winning UK based partner for supplying 3D cloud services using Terf to organizations in the UK, EU, commonwealth and China. Our partnership with Hao2eu 3DNovations enables public and non-profit organization to procure Terf in an agile, EU procurement compliant and socially responsible way via the Crown Commercial Digital Marketplace. HIVE-RD is an innovative 3D visualization and multimedia company located in London, UK. Its services range from architectural rendering and product design imagery through to virtual world assets and 3D printing. 3D ICC’s CEO is a founding member of Women in VR. Women in Virtual Reality is a networking and advocacy organization with a mission of increasing the visibility of women in virtual reality and attracting more women to the field. 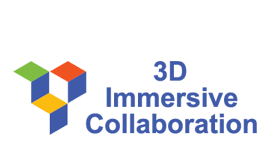 3D ICC supports the annual Camp Smalltalk meeting. This meeting is held in Terf® annually and we also support their ongoing virtual meetups.